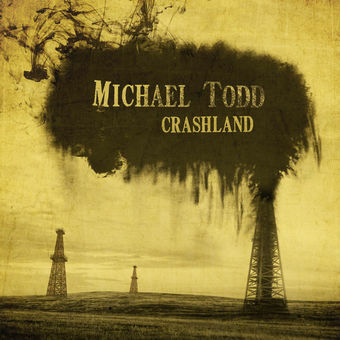 Crashland, Michael Todd’s latest album, is an eclectic album that succeeds upon Todd’s desire to craft something special. A different set of influences make their appearances known with each track, meaning that hints of Neil Diamond, John Mellencamp, James Taylor and Johnny Cash can all be discerned over the course of the release. The Cave is a solid introduction to Michael Todd, touching upon a great many of the twists and turns that fans will ultimately experience as they continue to listen to Crashland. See You in the Night will strike listeners to their very core. Michael’s vocals resound loudly over the track, while the guitar arrangements imbue upon the effort a timeless feeling. Hints of blues and folk can be picked up here, but what Todd does during Crashland is wholly unique – it’s hard to find any sort of genre convention that he easily fits into. French Fried Lady in Combat Boots has a tremendous narrative that is weaved through the effort. The tempo of the single swells up nicely, spinning the track (and the early registers of the album) in a bold new direction. The production of Big Ol’ Sky is delectable, allowing for a much more intricate sound to present itself. Fans will need to spin Big Ol’ Sky numerous times before hearing everything that Todd has placed deep within. Specter Rises is an eye-opening effort placed late in Crashland. The track is one of our favorites. While the track has hints of blues and traditional country & western, the stellar guitar work here will make a fan out of anyone listening in. Michael Todd’s Crashland is one of the few albums that stay consistently strong from beginning to end.